The Robinsons' Dark Matter is a Young-Adult Science Fiction Novel. Buy it now for Amazon Kindle or in Paperback! Victoria Robinson was alone. She had no friends, her brother Nate thought she was a conspiracy nut, and their parents were never home. Then she stumbled across a cache of alien technology in their basement, her brother went hand-to-hand with a zombie, and their parents were kidnapped with a ballistic teleporter. Things got a little crazy after that. The teens soon find themselves facing a mysterious enemy and forging a tenuous alliance with a top-secret government agency in a race to rescue their parents...and save the planet. Along the way they uncover pieces of their parents' past and become unwitting pawns in a dangerous and elaborate game. Read the first chapter or buy it now. Sign up to get the latest news, sneak peeks and more! 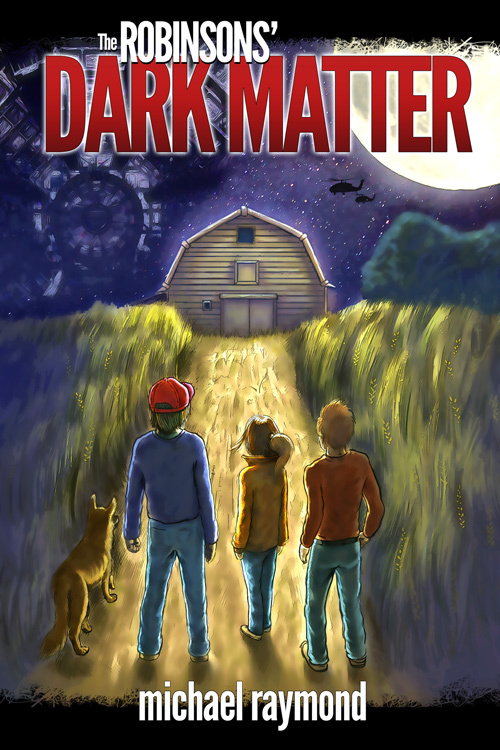 UPDATE: 6/07/2013 - The Robinsons' Dark Matter hit #1 on Amazon Kindle Store in Teens > Science-Fiction, #4 in Science -Fiction and #14 in Teens! UPDATE: 8/21/2014 - Two important projects have pulled me away from my work on a Robinsons sequel, but I am keen to return to Deepdale as soon as possible. UPDATE: 7/1/2015 - My other commitments are nearly completed and I've begun shifting time over to The Robinsons' Quantum Entanglement!